Welcome Students and Scholars of University of Buffalo to Buffalo - Erie County, New York. Thus, and with deliberate and very mindful considerations, and indeed they all were intrinsically idealogical deep, this will have very little connections to the formal institutions of University of Buffalo iteslf. The primre factor, in which everyone should be aware, that in the legal circumstance, though some of the student sponsored events are estranged, the aupicies and agencies of University of Buffalo, very much like most repsonsiable institutions of higher education, have several internal and external self - impossed restrictions. Off campus activities are extremely garded within the legal circumstances of these restrictions. SUNY @ Buffalo, SUC @ Buffalo, Canisus, Erie County Community College and Other Academia - Buffalo Night Life ( NightLife ) RMC  Academic - Buffalo Social Calendar . University of Buffalo: Students / Scholars Blog: Get updates after April, 2008 of issues and event which will shap your lives after graduation. Want to travel and more often ? Do you want other fellow students / scholars through out the world to know what UB life is really about ? Online students / scholars - users of University of Buffalo, this is where you can get involve right from you very own lap top, library computer, office, or home in both privacy and comfort. If you have information or online photos relating to the various websites being developed, then you are the exact person we are liooking for. More importantly, if you look at the top website menu bar you will see a menu of other items we are looking for. Sort of like a cleaner internet version of graffiti on the internet, but with several little interesting sociocultural twist. Thus you are being given an outlet to let others in this area of hard working good peoples amd through-out the world to known about American student academia - culture. None the less, this is the travel and information resource internet clearing house on service and socio-cultural events website for students/ scholars within selected and suggested cities - communities. They start on page one and goes through page four, as the top menu bar indicates. Moreover, and through the online interactive forms on this site, an information gathering focus-website process is also included with the overall mission of this website.. Here information is solicited from online users about selected communities, the social sphere of campus life and what additional cities - communities should be included in the growing Night Life ( NightLife ), RMC Inter - City Cultural Communications website program, the heart of the Nght Life ( NightLife ), RMC Network.. It is how the social sphere conveys of what you are doing or interests are, where others world wide will be able see, and sense campus life at the University of Buffalo, and who then will likewise prompted by us, as a result of your participation to share in return. Blog Link: They Kissed in Naples. 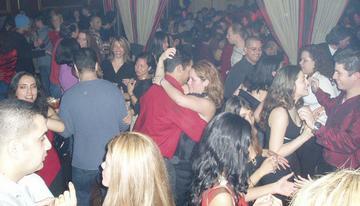 Academia Buffalo Night Life ( NightLife ), RMC Academic ~ Buffalo Social Calendar . University of Buffalo Blog ~ The Ithaca Academic / Academia Directory International Students / Scholars SUNY Buffalo .